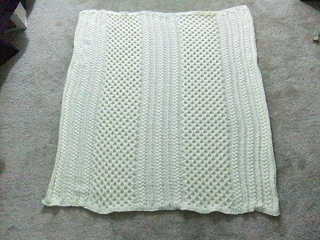 Take a quick peek at Brenda Lewis’s fabulous aran Irish Eyes Baby Blanket. 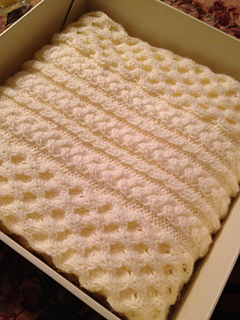 Knit in the classic ivory shade of snuggly Simply Soft, this lovely textured piece is sure to comfort the wee ones in your family for generations to come. 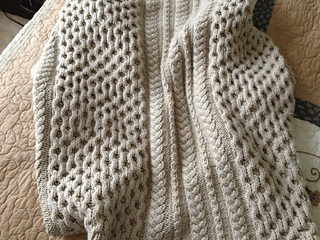 Blanket contains five panels, worked as one piece. Cable pattern charts are provided.